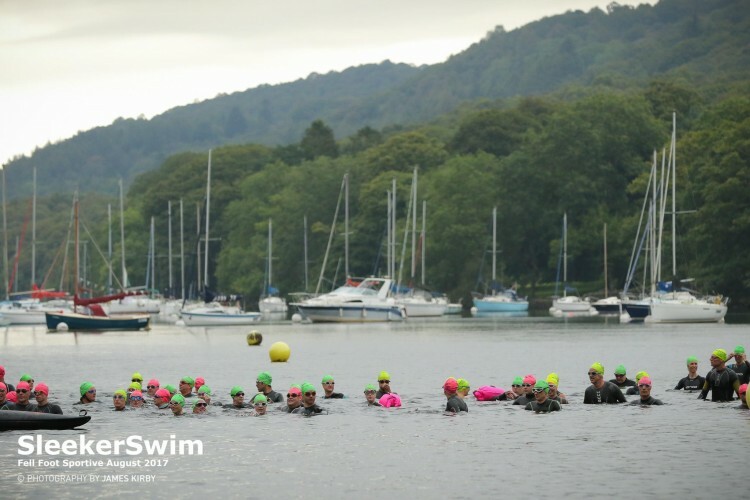 The Windermere “Wild Swim” of 2019 is to be held on the Bank Holiday Sunday 25th August, we have two distances to choose from – 1500m one way swim and the very popular 3km event if you are looking for more of a challenge. The Windermere “Wild” Swim is a lake/river swim starting at Fell Foot, Windermere with the different distances, It is a beautiful swim and you get a chance to enjoy the beautiful views of the South Lakes with Gummers How fell in the distance & the beautiful Fell Foot park. The 1500m distance swim is suitable for newbie open water swimmers or those wanting to swim a shorter distance. This is swim with a difference with different depths along the way, beautiful scenery and wildlife and has been described as a “truely unique swim”. After trialing our one way swim last year, we had great feedback with swimmers enjoying the A to B swim & beautiful meadow walk back to the start. Non wetsuits swimmers allowed providing the water is 14 degrees. Decision to be posted a day before event date. 14 years and over on event day for 1500m (parents will need sign a waiver). Any swimmers under 16 must be a club swimmer and will need evidence of this from a coach or club. All U18 swimmers will need to wear a wetsuit. All non wetsuit swimmers must wear a tow float. Due to the nature of the swim, we can get currents in some parts of the swim course and reserve the right to shorten the distance or change the route of the planned swim, if deemed necessary for safety. All non wetsuit swimmers must use a tow float. No entries on the day – entries close Wednesday 21st August 2018. Prizes to 1st Male & Female in the 1.5km & 3km. I finally have phone reception and just wanted to say how much I enjoyed the swim on Sunday morning! It has to be one of my favourite swim events I've ever entered. I just wanted to say thank you for this morning - it was my first open water swimming experience and we had a fantastic time. Obviously beautiful scenery and so lucky with the weather, but the kindness and supportiveness of the crew and crowd made it even more special. We were part of the hen do and I swam at the back with a friend whose swimming isn't the strongest - and all the way round she was given lovely encouragement and not put under any pressure to go at anything other than a comfortable pace. What a fab, friendly day out, and the perfect introduction to open water swimming. Many thanks again for staging a really lovely event.